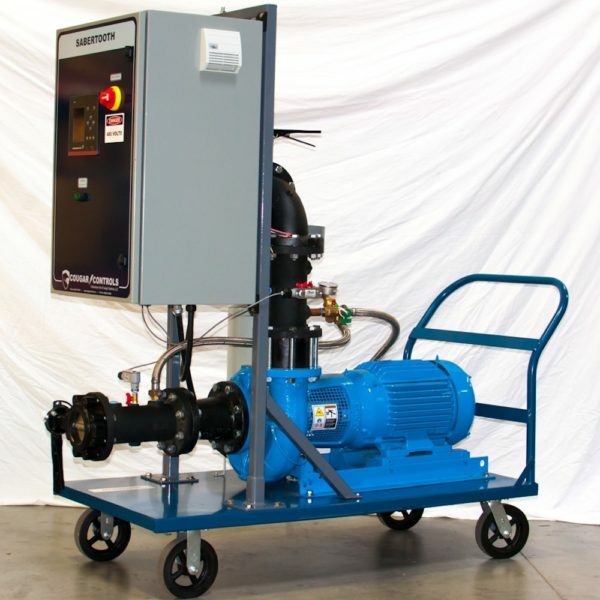 Our Flushing Pump rental skids are designed to be used in hot, chilled, or condenser water loops (non-potable water only) as a temporary pump or for system flushing. 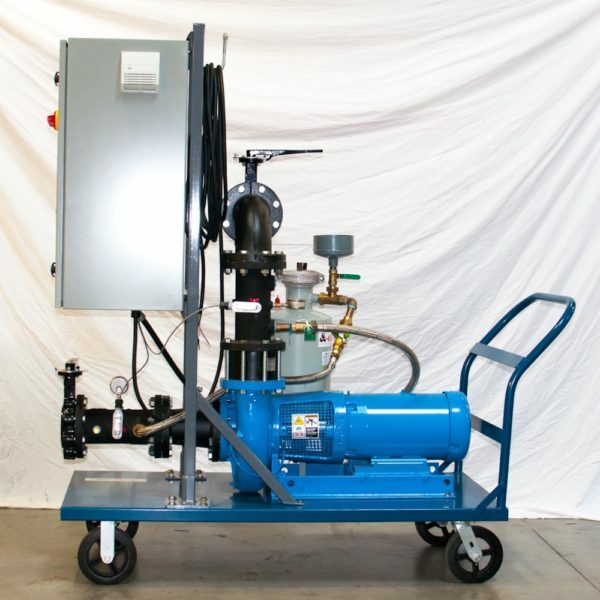 Each Skid includes a Grundfos LCS End Suction pump piped with isolation and check valves, gauges, and a 5 gallon chemical bypass feeder with an inlet funnel for easy chemical injection. 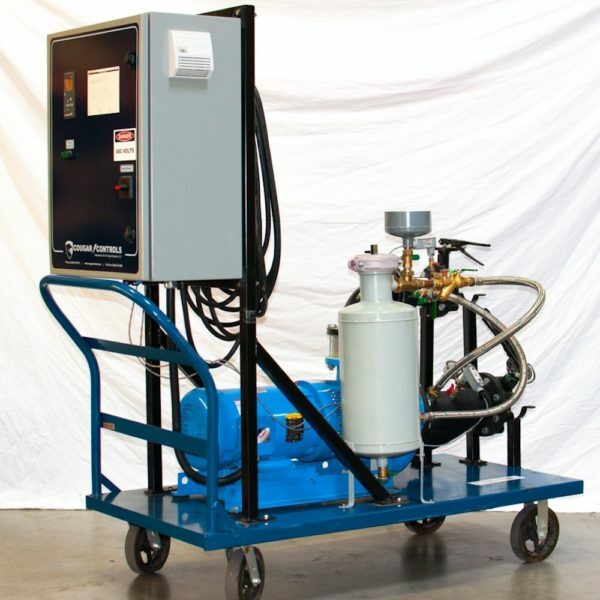 Each skid also has a Cougar Controls VFD panel with all electrical components wired to the control panel. The door mounted HMI will display estimated flow making pipe velocity calculations possible without an external flow meter. Field installation only requires connecting the included 50Ft SOOW Cable to the building’s power, and water piped to the suction and discharge of the unit; hoses for temporary system connections can also be provided. Please browse the fleet below for more detailed information on each skid.